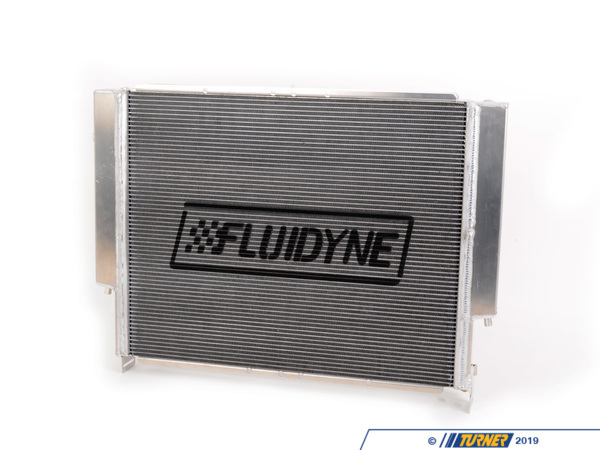 We have collaborated with FLUIDYNE on improving their already excellent aluminum radiator for the E36. 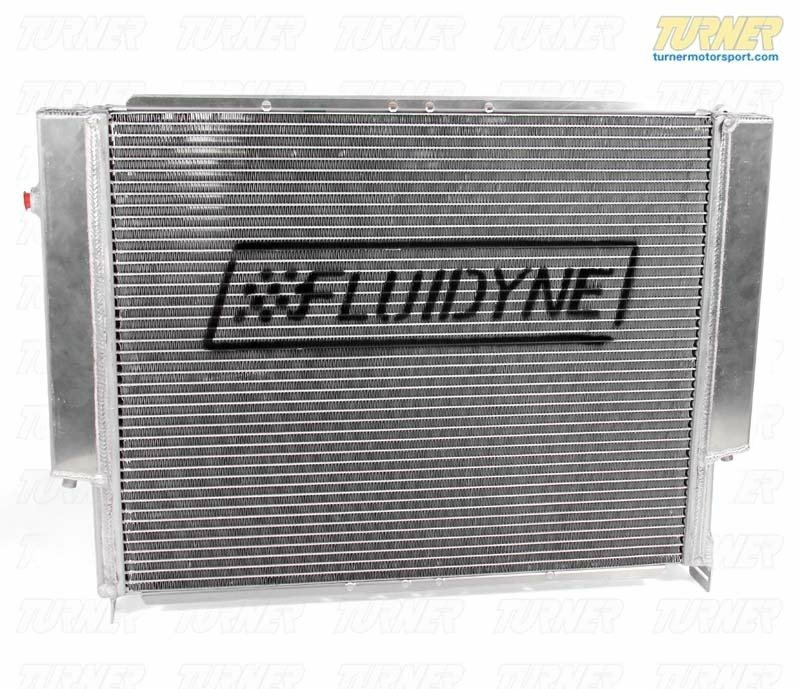 The features that made FLUIDYNE a leader in the E36 radiator market continue but with some new elements requested by the Turner Motorsport R&D staff. We have made the radiator easier to fit with the stock fan shroud and hanger mounts. The shroud will be better secured to the radiator than before which saves time and hassle. Our goal was to make this as close to a "drop-in" replacement as possible. We also had new hangers installed on the bottom to accommodate the factory E36 Euro oil cooler and our oil cooler hangers. 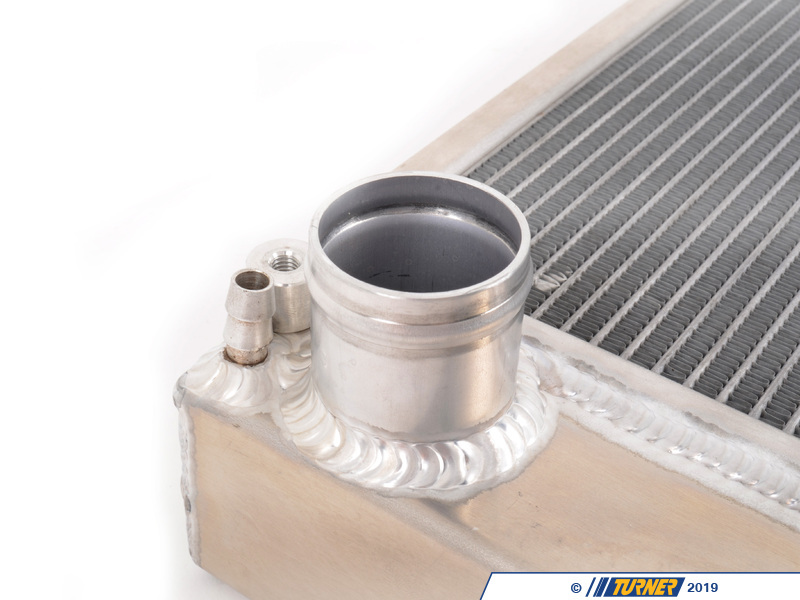 A zinc anode drain plug absorbs static electricity from the coolant which helps prolong the life of temp sensors. There has never been a better E36 radiator upgrade than this! 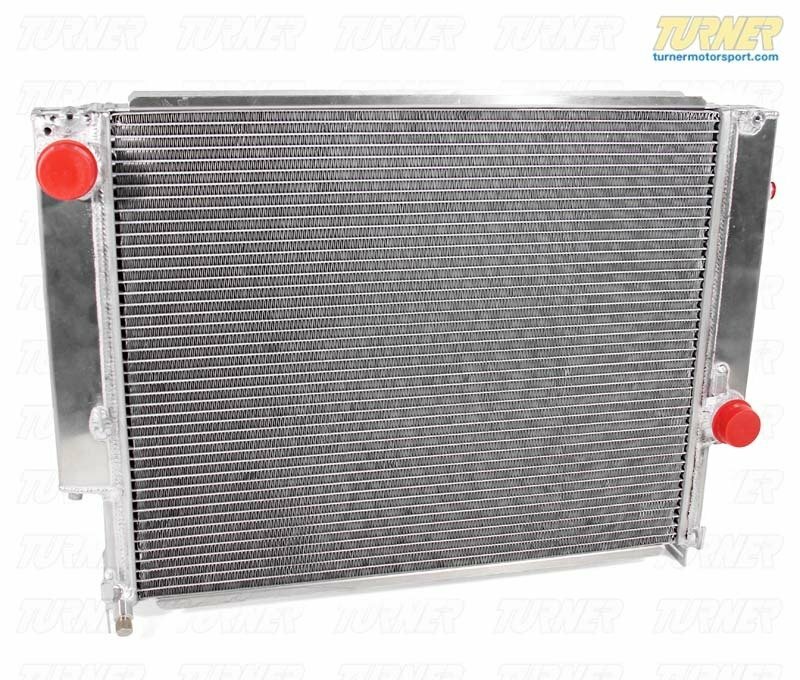 For an E36 track or modded street car there should be no reason to ever go back to a stock plastic radiator or compromise on a cheap aluminum radiator. The latest FLUIDYNE is the best there is. 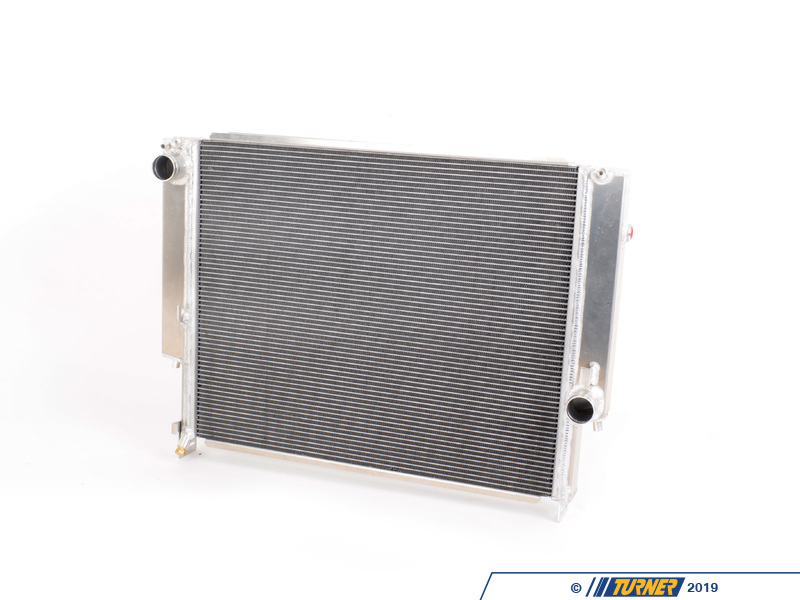 The stock radiator has an aluminum core but with plastic end-tanks and hose connections that become brittle and can leak or crack. You may not even realize your radiator neck is cracked until it's too late and you're stranded on the side of the freeway or unable to continue with your track day. An all-aluminum design does not suffer the defects of similar plastic construction. FLUIDYNE quality is what sets them apart from every other manufacturer. 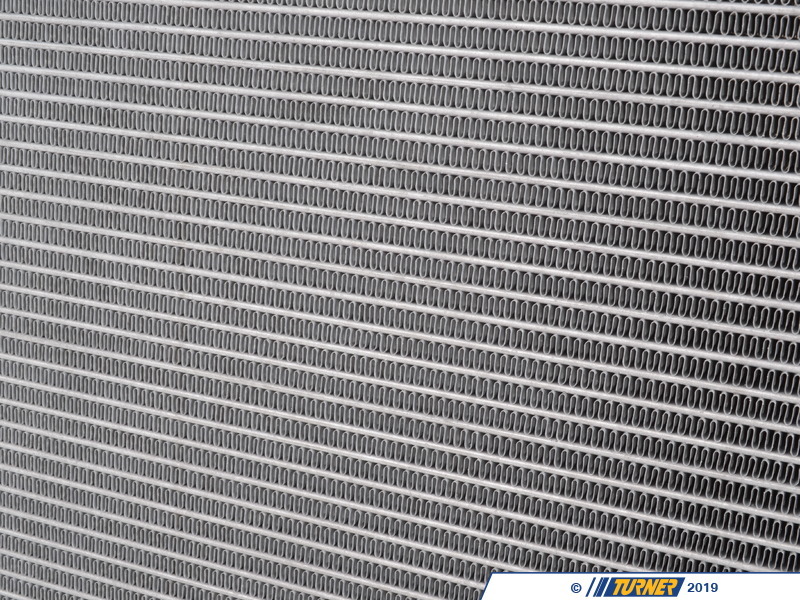 Their radiators feature a high-tech CAB-brazed core construction instead of epoxy (which can leak). All tanks and brackets are TIG welded by hand in the USA. If you plan on owning your BMW for many years to come, or are using it in a situation where failure is NOT an option such as track or racing, then this should be your only option instead of the failure-prone stock radiators.